This item is reported by me, journalist Dean Sterling Jones of Belfast, Northern Ireland who's cross-posting at his Shooting The Messenger blog, and New Zealander Kelsi White. Given the content of the story, our "hands across the water" effort seems fitting. 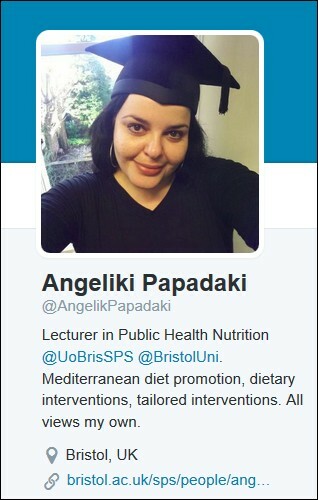 On Monday I reported how Barbara Millen PhD, chair of the 2015 US Dietary Guidelines Advisory Committee (DGAC), and USDA executive Angela Tagtow tag-teamed an effort that resulted in author/journalist Nina Teicholz being kicked off a panel at a national food policy conference held last month. Teicholz is a high-profile critic of the DGAC's methodology and findings (which have been widely criticized by medical experts and organizations). It's not the first time Millen tried to muzzle Teicholz. Last November, Millen signed a public letter to the BMJ (formerly the British Medical Journal). The letter demanded the retraction of a September 23 article by Teicholz which -- you guessed it -- criticized the methodology and findings of the DGAC. Claiming Teicholz's article was "riddled with errors" -- a claim disputed in a recent Guardian article (see below) and elsewhere -- the letter was organized by the DC advocacy nonprofit, Center for Science in the Public Interest (CSPI). 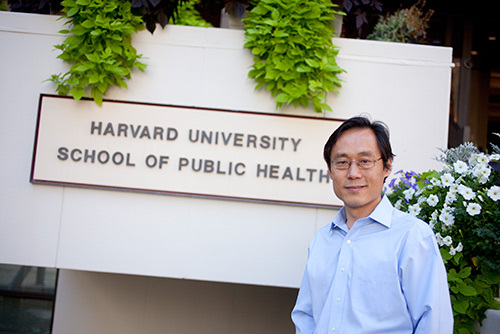 E-mails obtained via a public records request (embedded below in reverse chronology) show that another DGAC member, Dr. Frank Hu, a prominent professor/researcher at the Harvard School of Public Health, asked a colleague to sign and circulate the retraction demand which resulted in a chain letter exchanged by European medical professionals and university faculty. It started with an October 31, 2015 "Dear Colleague" e-mail in which CSPI executive Bonnie Liebman asked dozens of nutrition science professionals to sign the letter. Later that day in this e-mail (slightly re-formatted for ease comprehension), Martinez-Gonzalez copied Hu on an e-mail he sent to about 20 colleagues, stating "Yes, of course, Frank." I endorse its full content and the request to the BMJ to retract the journalist's article. ...who obligingly added another link in the chain letter which she states was "instigated by Frank Hu." Why did Hu encourage colleagues to demand a retraction of what he called "the terrible BMJ article for the sake of science and public health"? We don't know because he hasn’t responded to multiple inquiries. My BMJ article was a critique of the science used in formulating the 2015 DGA expert report. 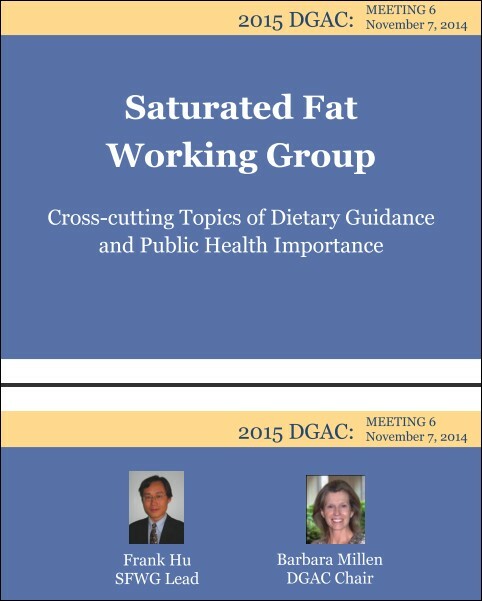 Frank Hu chaired the review on saturated fats, which I critiqued in a number of ways: it did not consult the "Nutrition Evidence Library" per standard USDA practice, and although the studies covered in the review had conflicting and contradictory conclusions regarding whether saturated fats do in fact cause death from heart disease, the review nevertheless concluded that the evidence on this point was "strong." (Neither of these facts is disputed as part of the retraction request.) The question of whether sat fats cause heart disease has, over the past 5 years, undergone tremendous re-analysis and challenge, yet the Hu review did not reflect that ambivalence. In effect, it did not comprehensively review the most current science on this subject. This item has been slightly revised with an updated, but near-identical quote paragraph from Nina Teicholz.